Warm Up will return to Long Island City’s MoMA PS1 courtyard every Saturday from July 1 through September 2 in 2017. The annual concert series, which hosts mostly electronic music (but also some rap, indie, and other things) under the hot sun during the day, has yet to announce its lineup but ticket info is here. Warm Up is in its 20th year, and it will celebrate that by offering the “1998” ticket package — named after the series’ founding year — which gets you into all ten shows for $98. It’s available for a limited time only and on sale now. Single-show tickets are $18 in advance or $22 day-of. You can get those at Eventbrite or Resident Advisor. 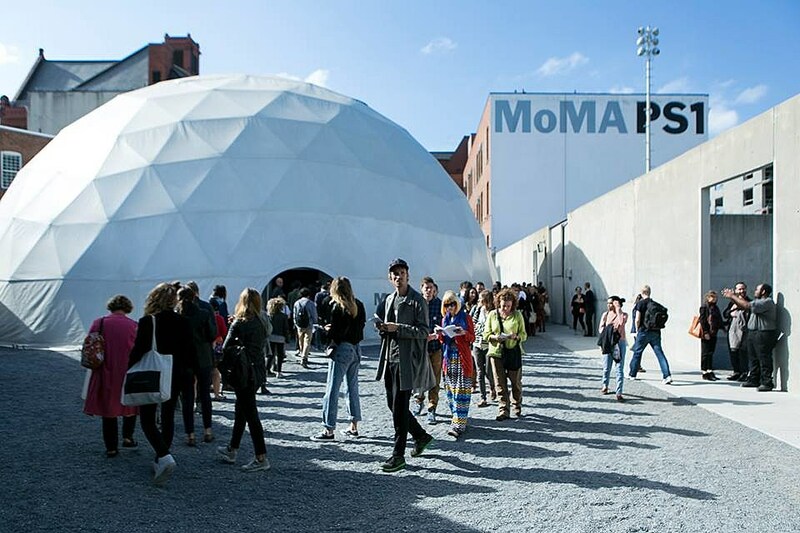 MoMA members can get discounted $16 tickets and MoMA PS1 members can get $13 tickets. Member tickets are available by calling (718) 784-2084 and choosing extension 0 during museum hours. This year’s series will be booked by a curatorial committee led by Eliza Ryan and Imogene Strauss, featuring new members Mattis With (Young Turks), Venus X (GHE20G0TH1K), and Naomi Zeichner (The FADER), alongside returning curators Dean Bein (True Panther Sounds) and Matt Werth (RVNG Intl. ), with Taja Cheek, Curatorial Assistant, MoMA PS1 and Rosey Selig-Addiss, Associate Producer, MoMA PS1. Last year’s Warm Up had DJ Premier, Kamaiyah, D.R.A.M., Skream, Elysia Crampton, Ash Koosha, DJ Paypal, and more.